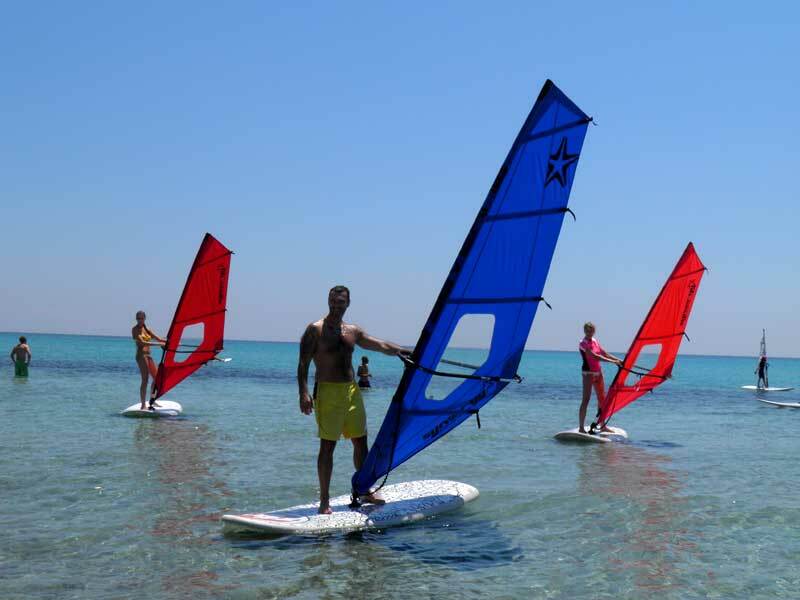 We have a vast experience in teaching windsurfing. 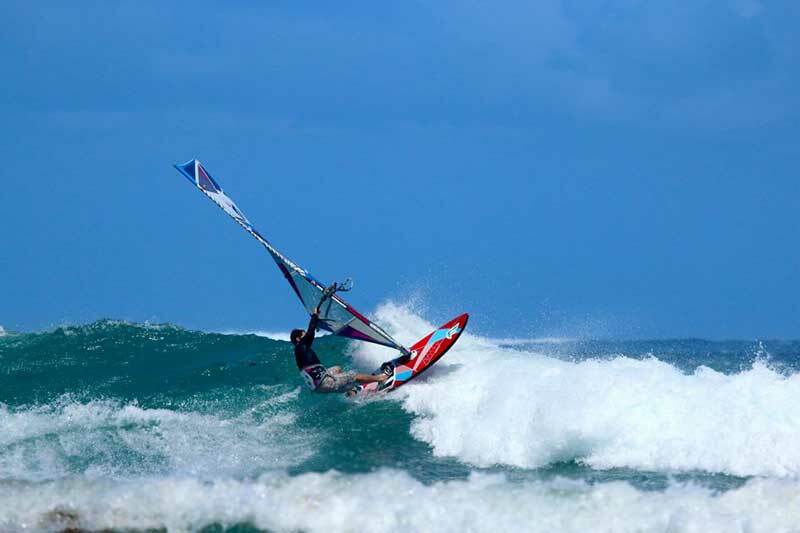 Our methods are very efficient and allow our students as soon as possible to achieve maximum results. 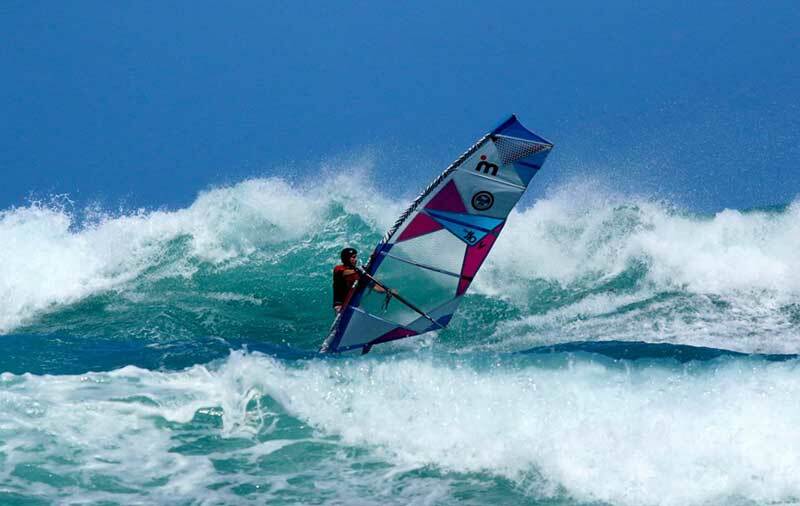 Professional instructor, a great spot (Limnos, Mauritius) and steady wind – that is exactly what you need to get fast progressing in the windsurfing! 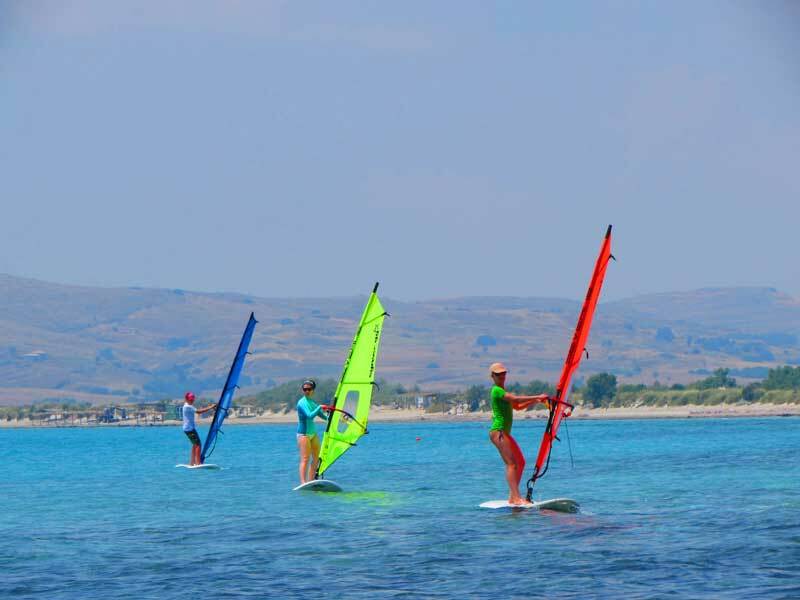 - Theoretically part - sailing terminology, orientation to the wind, rule the board at different sailing courses, rules in the water, safety, etc. 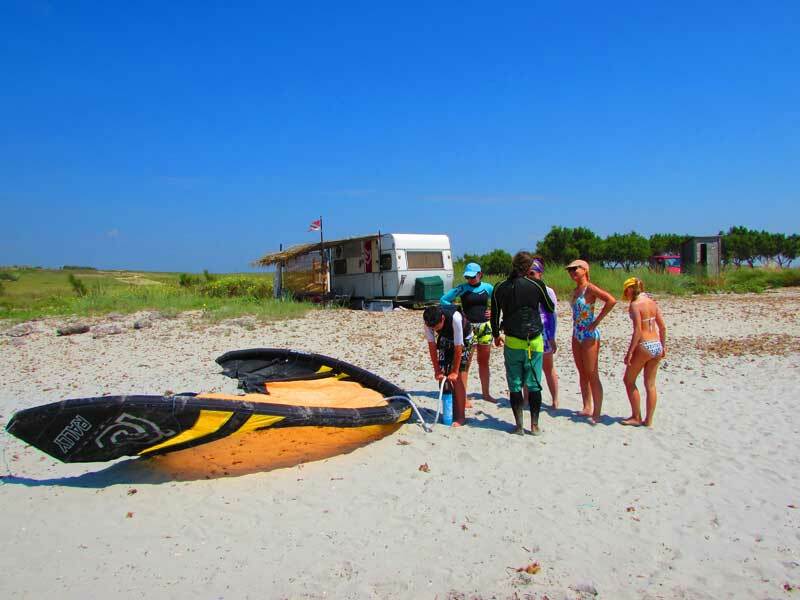 - Simulator (simulator boards and sails on the beach) - demonstration the elements on the simulator allows the student quickly learn the new material. 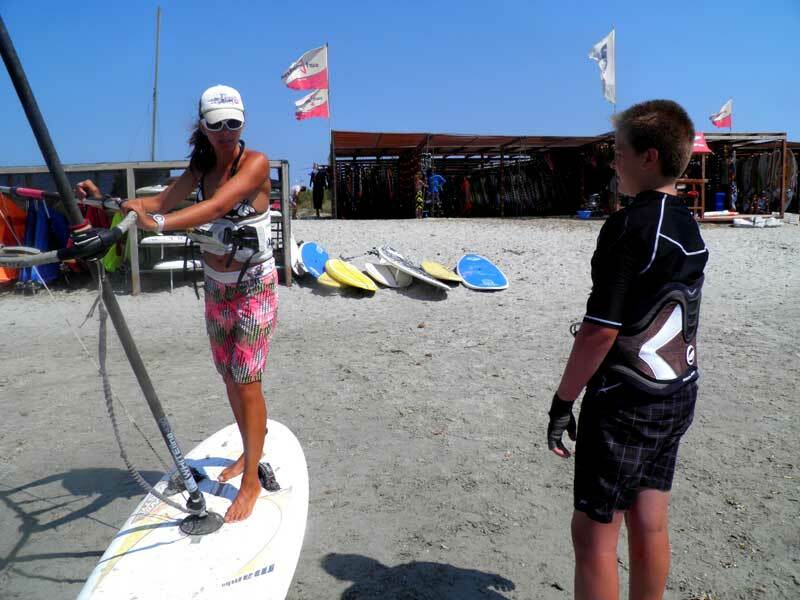 Instructor show the correct moves, body position, hands position on the boom etc. 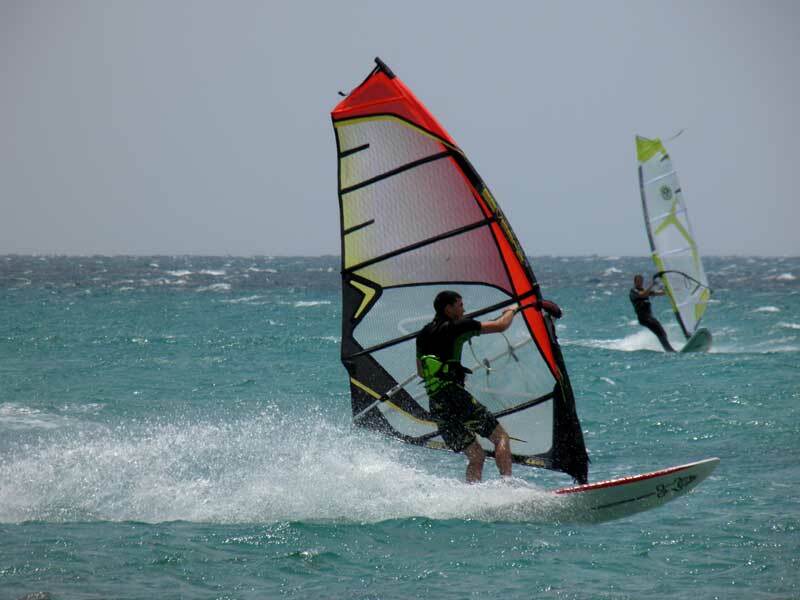 in a quiet environment , so that laterin the water the students repeat it easier after the instructor. Level 1: "Beginner" - never stood on a board or a couple of times stand somewhere and sometime. Level 2: "Go." Harness and beach start. Level 3: "Advanced." Planing and water start. Level 4. "Super Advanced". 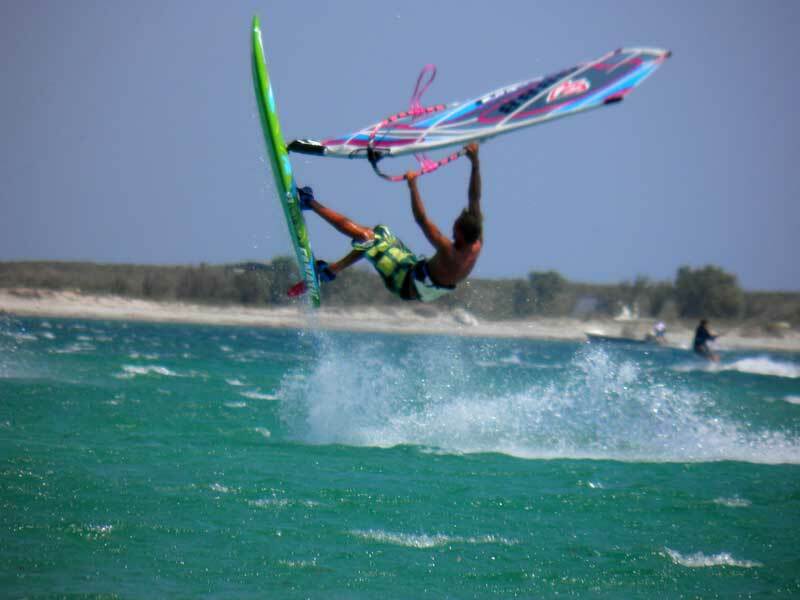 Power jibe and jumping. From this level is no required to have a part in complex lessons. 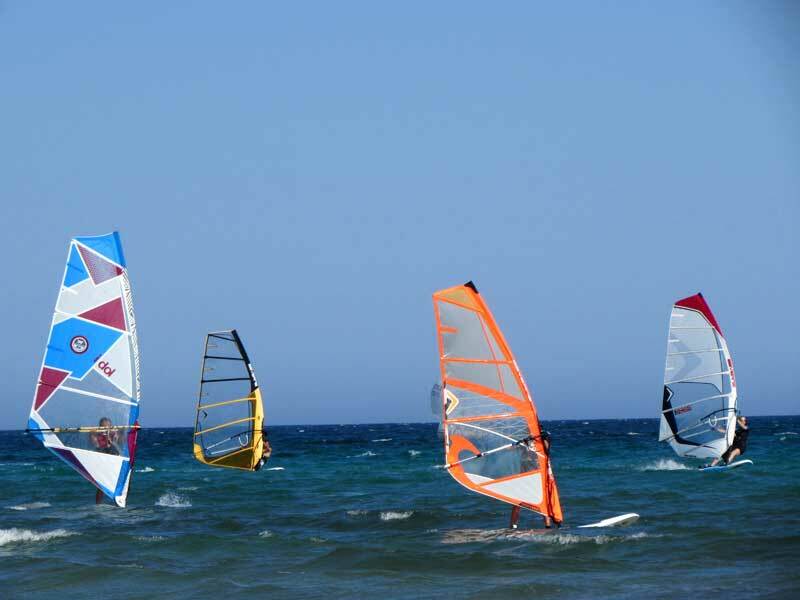 You do not belong to the category of "students" anymore, you are simply called "windsurfer"! Congratulations! 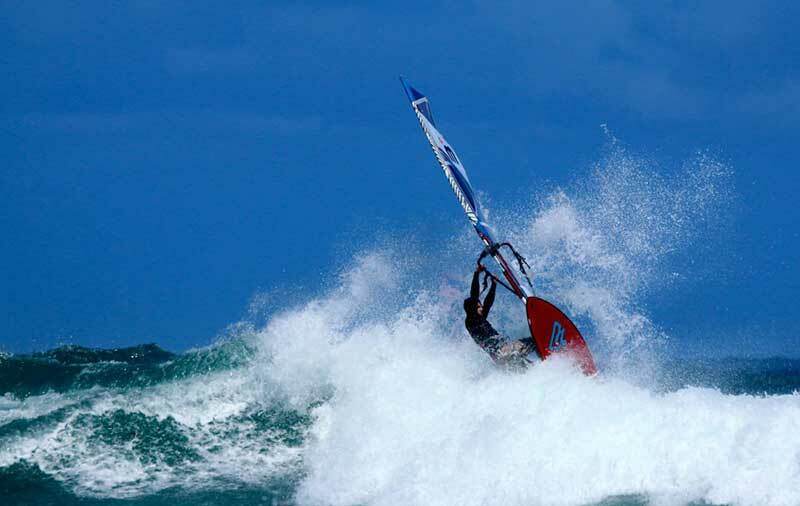 Usually the windsurferstakes private lessons with an instructor (2-4 hours is enough). 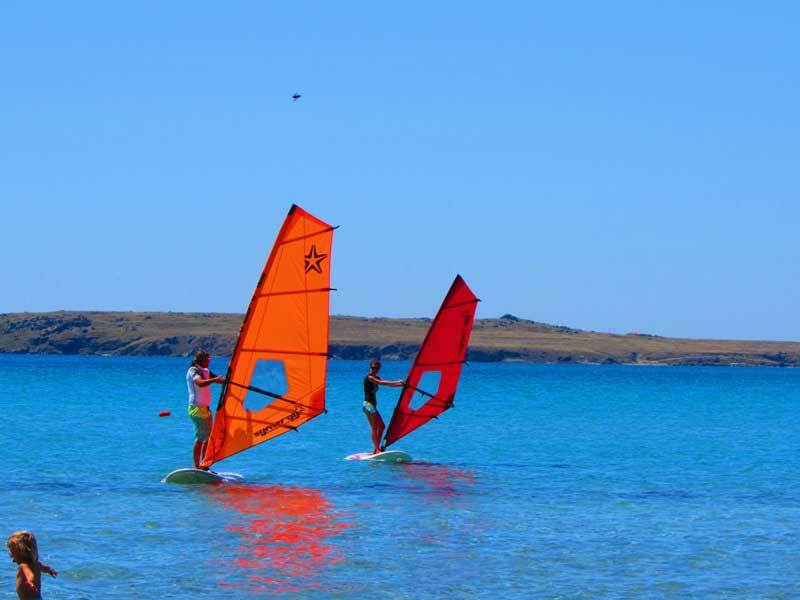 A prerequisites start training at level 4 - the ability planning upwind (close-hauled) and perfect watersart! Otherwise - see Level 3! Level 5. 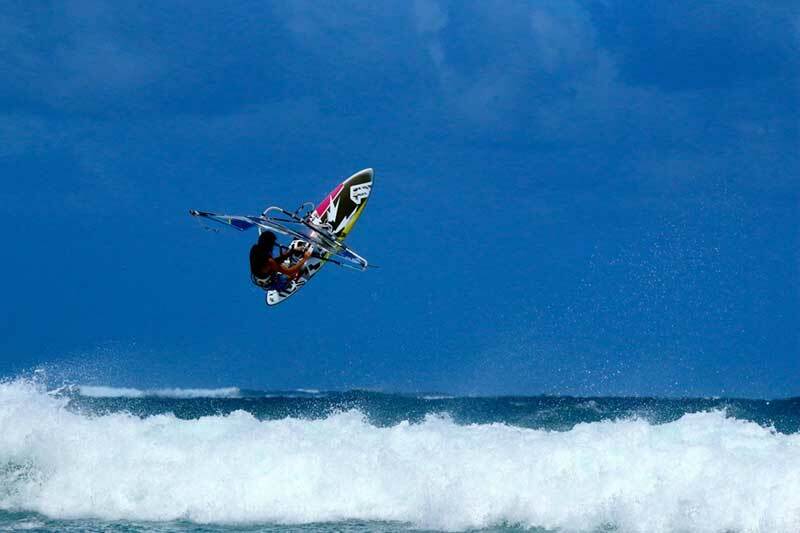 Freestyle. Implementation of the various elements.